This attractive over-mirror triple¬†spotlight is the perfect wall-mounted light fixture for your bathroom or powder room. 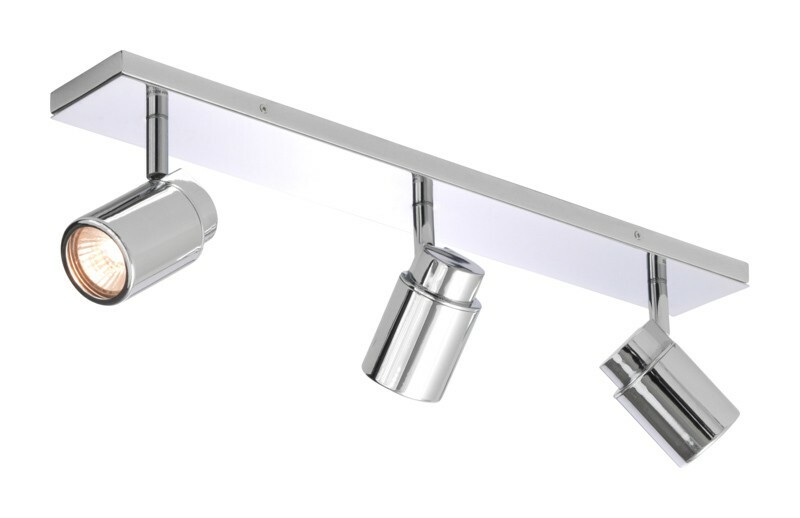 Featuring a polished chrome finish, this spotlight lighting fixture is perfectly designed for use in damp, humid rooms such as a bathroom or kitchen and is IP44 rated.The finish guarantees that no matter what room you install this fixture in, it will never rust or corrode. Additionally, this bathroom spotlight utilises three 35w GU10 lamps to bathe your bathroom in the perfect amount of attractive white light. .